This great upgrade kit for your 10/22® will provide you with a comfortable bolt handle to grasp, a "super slick" guide rod, and the ability to tune the recoil of your rifle with our interchangeable springs. 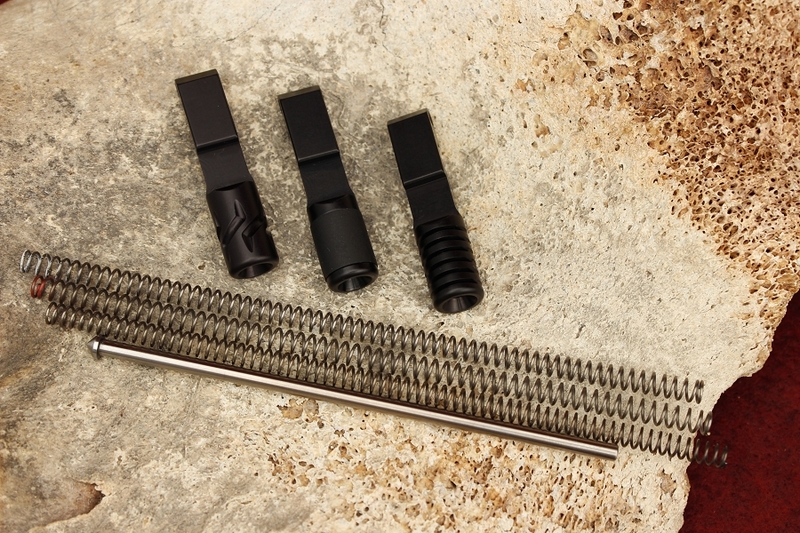 All bolt handle lengths are 1 3/4", which is 1/4" longer than the factory bolt handle assembly kit giving greater clearance for the shooter's knuckles while racking the bolt. 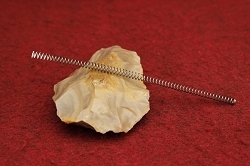 The three tuning springs come in varying tensions for the ultimate in tuning capability. 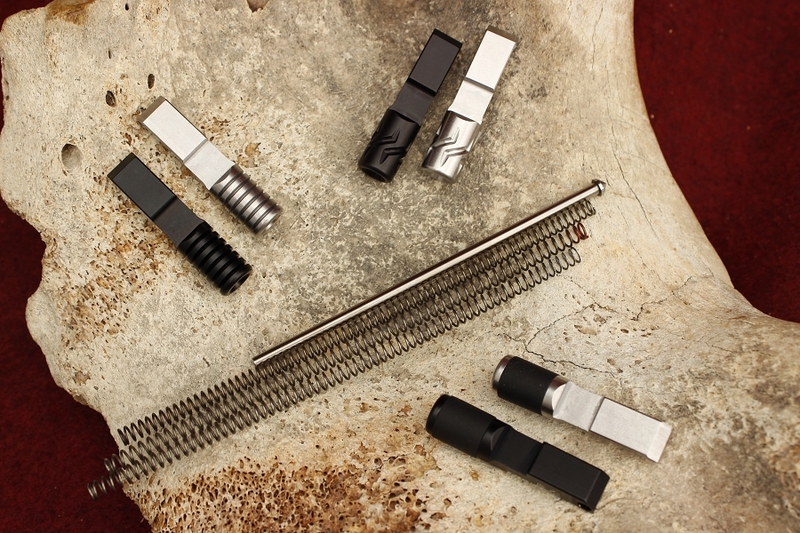 Though by and large the standard tension spring will serve the shooter throughout the different ammunition velocities. If, due to tolerance stacking or preferred ammunition the cycling of the action is out of sync then the shooter has the capability to change the spring without using the more primitive method of cutting coils to tune a spring. Precision ground guide rod is made from hardened tool steel and held to 2/10,000" tolerance throughout its entire length. 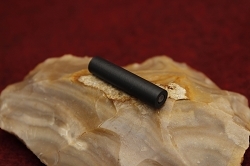 The rod is nitride treated which gives its surface a 70C rockwell (harder than a file) surface hardness. Guaranteed the smoothest and slickest guide rod in the industry. 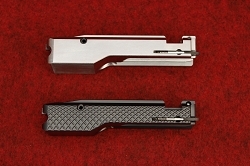 After removing the stock from the barreled action, remove the trigger and bolt stop. This will allow the needed clearance for the bolt to be removed along with the bolt handle assembly. 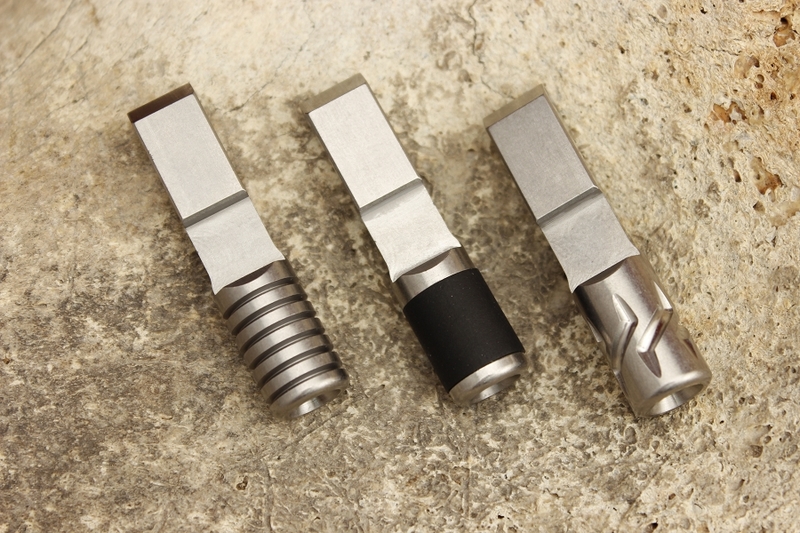 After choosing your proper spring tension slip the bolt handle assembly in from the ejection port, placing the cone end of the rod into the containment hole in the receiver. Then fully compress the bolt handle assembly while placing the bolt on it. After the mating of the bolt handle and bolt, let off the containment allowing the bolt to go forward. Install the bolt stop pin, trigger and stock. The video below offers some of the finer installation points. Great products. Very different feel to the rifle after installing the bolt and the spring kit. Much better than stock. i have ordered several parts from Kidd Innovative and all of the parts are made with great quality, let alone they look absolutely amazing. I highly recommend their products. Excellent product! Action is much smoother. I use to have issues with failures to eject and jams. I have tried all 3 of the springs in the kit. Not a single jam after about 200 rounds and 4 different kinds of ammo. Major improvement over the factor equipment. I would highly recommend this guide rod and spring kit. I like the longer handle length and different springs. I like the 10% increase rate spring. Put this in before I shot my new 10/22.